Blockbuster earnings reports on tap include quarterly updates from Apple, Chipotle, and Facebook. Stocks continued their march higher last week, as the Dow Jones Industrial Average (DJINDICES:^DJI) and the S&P 500 (SNPINDEX:^GSPC) each rose by 0.6%. Despite the worst start to a calendar year yet through mid-February, the indexes are now both within striking distance of all-time highs set last summer. The highlight of the economic calendar this week might come on Wednesday when the Federal Reserve concludes its two-day meeting and issues its monetary policy statement at 2 p.m., EDT. Investors can expect volatility around that announcement since it should contain updated thinking from officials about the pace of interest rate over the next few quarters and years. Meanwhile, highly anticipated earnings on deck over the next few trading days include reports from Apple (NASDAQ:AAPL), Chipotle (NYSE:CMG) and Facebook (NASDAQ:FB). Tuesday, April 26 – Has the Apple iPhone business peaked? The most valuable company on earth posts earnings results after the closing bell on Tuesday, and for the first time in recent memory Wall Street expects Apple to announce declining sales and profits this week. Revenue should drop 10% to $52 billion while earnings fall 4% to $1.77 per share, according to consensus estimates. CEO Tim Cook will likely discuss the prospects for the new iPhone SE model this week. Image source: Apple. The consumer electronics titan's results have been hurt by a volatile global selling environment that CEO Tim Cook described as "extreme conditions, unlike anything we've experienced before -- just about everywhere we look ." Several key markets around the world (like Brazil, Turkey, and Japan) are going through currency devaluations, falling commodity prices, and slowing economic growth, he explained. More importantly, investors will be interested in how Apple is navigating the slowdown in its biggest business, the iPhone. Executives hinted that the smartphone's sales will decline, year-over-year, for the first time this quarter. However, that drop might just be a quirk of an unusually strong fiscal Q2 last year, meaning Apple could still enjoy overall growth (with help from a cheaper model) for the full year. 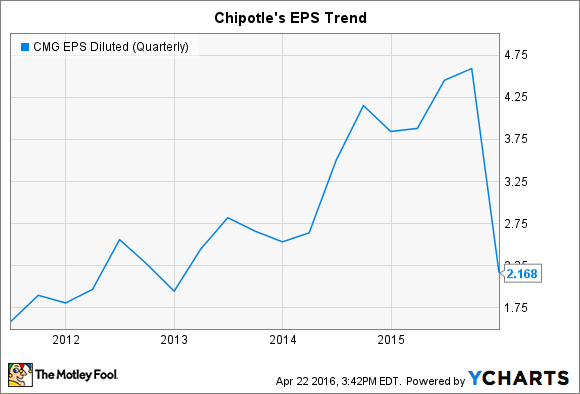 Tuesday, April 26 – Are customers returning to Chipotle? Also on deck for Tuesday afternoon is fast-casual restaurant chain Chipotle's earnings. The burrito slinger is still reeling from a food safety scare that produced its first comparable-store sales decline as a public company last quarter. Unfortunately, investors can expect another unhappy first for the burrito chain: Chipotle will likely announce a quarterly net loss on Tuesday . In addition to sharply declining traffic (comps fell by 26% in February, management said), the bottom line will be hurt by rising expenses related to new safety protocols and costs from a nationwide free burrito offer that's intended to get fans back into its restaurants. Co-CEO Steve Ells and his executive team project losing at least $1 per share this quarter, compared to last year's $3.88 per-share profit. Still, the stock could take that unusual loss in stride, assuming customer traffic trends continue to point higher. 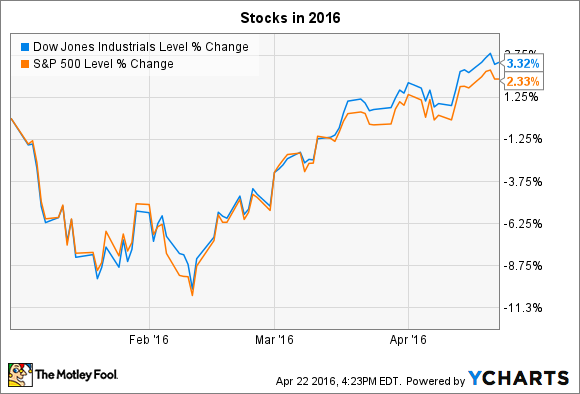 Wednesday, April 27 – Will Facebook keep its strong momentum? 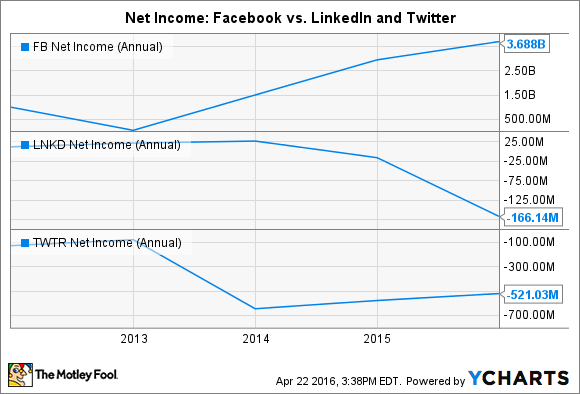 Facebook's Q1 earnings announcement on Wednesday comes sandwiched between Twitter's (NYSE:TWTR) Tuesday report and LinkedIn's (NYSE:LNKD.DL) Thursday posting, and the social media leader's numbers are likely to be the strongest of the three -– by far. Sales and profits are each projected to rise by over 40% even as Facebook plows cash into expanding services like WhatsApp, Instagram, and FB messenger. While Facebook likely generated huge advertising revenue this quarter, shareholders will be watching for continued steady user growth, in addition to improving engagement metrics like daily usage and video interactions.